With the correct skincare products, it is possible to maintain plump and glowing skin. However, with the wrong ones, you might suffer from unwanted acne, enlarged pores and results that you do not want to see. And did you know that oily skin can also be a result of excess sebum from dehydration?! Yes, you heard me right! Your skin might be oily but it can also be (severely) dehydrated. All in all, successful oil control comes down to creating the perfect pH balance and hydration level in the skin. 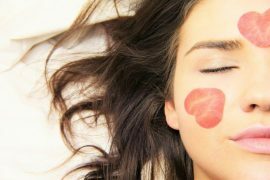 As a general rule of thumb, if you suffer from oily skin, your skin generally has a pH level of 3 to 4 (or even lower) causing it to be acne prone and oily. So, logically speaking, to make your skin less oily, you’ll have to balance out the pH level of your skin. The Klairs Gentle Black Sugar Charcoal soap is formulated with Black Sugar, Charcoal and Jojoba Oil to effectively not only eliminate dead skin cells and draw sebum out but also for soothing and hydration properties. Despite the seemingly harsh ingredients, the soap is actually pretty gentle for daily use and is effective in cleansing the pores and clearing dead skin cells. Psst, if you suffer from back acne, you can consider getting this too! Promising review: “It’s a great product to buy. It was larger than I thought which is an amazing thing! I have a lot of blackheads and this helped to improve my skin. As an added benefit, it also feels very soft, a little bit like clouds. I’m not too concerned about the herbal smell as it smelled like green oil/ tiger balm.” – Kim N.
As emphasised earlier on, it is crucial to restore the optimal pH level of your skin and this Low pH Good Morning Gel Cleanser from COSRX will be able to do just the trick! Containing natural ingredients, this gentle and mild cleanser was practically formulated to restore the pH level of your skin, cleanse the skin of excess oil, dirt and impurities, but yet not stripping away the hydration that your skin still requires. 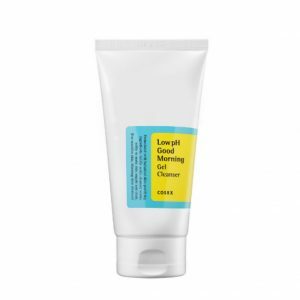 Promising review: “This is a very good cleanser for combination or oily skin. Tea tree is very evident in the smell. Although it can leave me with a bit of tightness, it also leaves a squeaky clean and fresh look that I love. At my age I alternate between this and a more nourishing cleanser (currently Oskia) but together they keep my skin bright and clear.” – Letty K.
Formulated to be used either during the day or night, the COSRX AHA/BHA Clarifying Treatment Toner is a daily toner meant to exfoliate and cleanse your face. 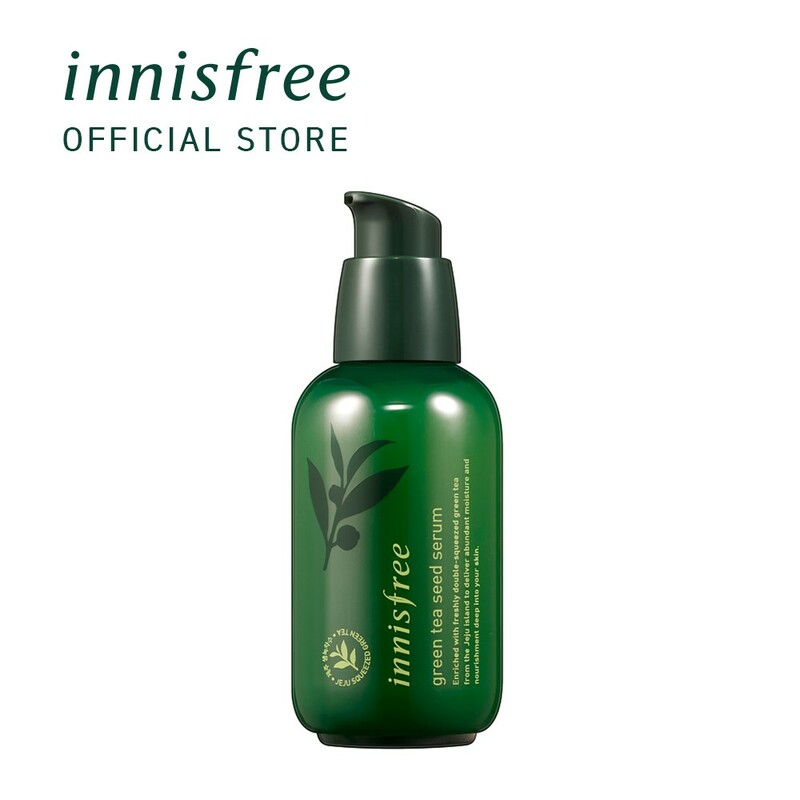 Containing AHA/BHA molecules, the toner is made to hydrate and rejuvenate your skin while preventing both whiteheads and blackheads and even blemishes for the perfect skin. Oh, and if you’re wondering what’s “AHA/BHA”, well, it is essentially a gentle exfoliant for your skin that helps remove dead skin cells without you having to scrub too hard. Promising review: “I’m a bit of a product junkie, always looking for something better than what I already use, but this is one of the few things I stock up on before I run out of it. It’s made a huge difference in my oily, mixed acneic skin (whiteheads, cystic acne, you name it, which I finally figured out was both fungal AND bacterial after a bunch of derm consults and trying various things to address both. Oh, and 35 years of acne experience, sadly!). I’ve also found it to be good at addressing folliculitis on my back which none of the derms could figure out.” – Jen W.
After a long day at work, it is normal to just want to rush through your skincare routine and this is when this miracle product from COSRX will come in handy. This One Step Moisture Up Pad that is formulated with hyaluronic acid is excellent for giving you a quick boost of moisture and hydration that your skin needs. Simply unscrew the tub, take one pad out and gently wipe your face with it to replenish moisture from within the skin. P.S. Recommended for use only at night! Promising review: “These pads are a life-saver! I have been suffering from really bad acne since I was 13 to the point where sometimes I would look at myself in the mirror and cry. I was skeptical about these at first, but I’m SO glad I gave them a chance. 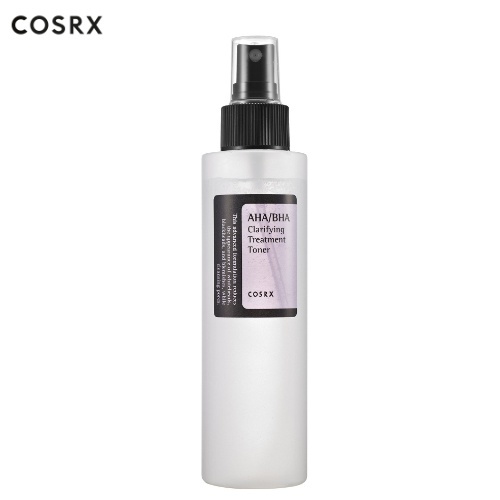 The first COSRX product I tried was the ABA/BHA toner, which seemed to work fine but it wasn’t jaw dropping. Then I purchased the pads and the centella blemish cream; and my skin hasn’t looked this good in forever. When you first apply the pads somehow it makes your skin look pore less, it really does blur your pores! It does feel sticky after so I recommend patting your skin until the product is completely absorbed. Thank you COSRX! 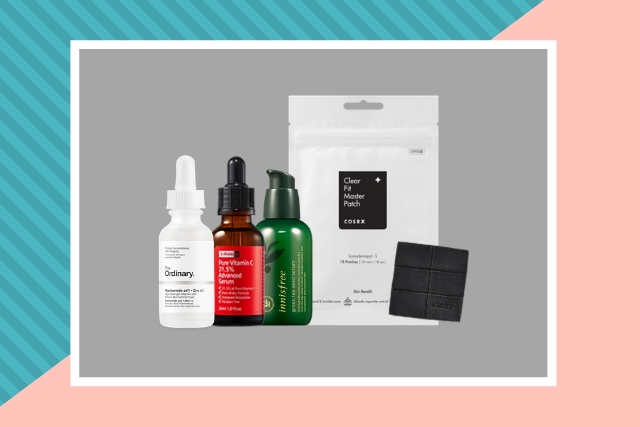 !” – Erin W.
If you’ve been a loyal reader of our blog, you’ve surely heard about this product as pointed out in the list of The Ordinary Products the internet swears by. 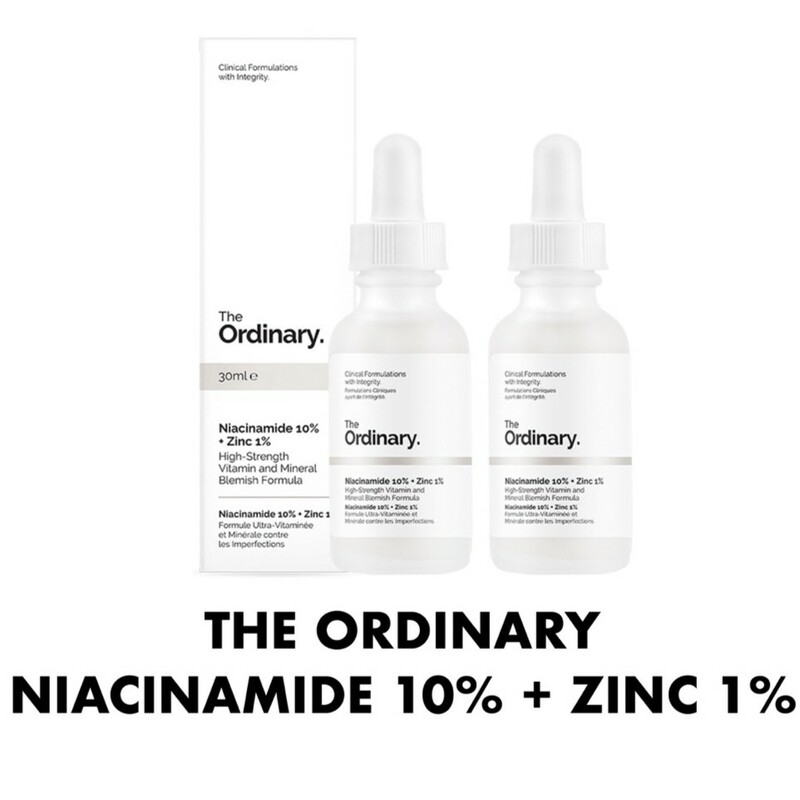 This serum mainly contains well, Niacinamide, which is also more commonly referred to as Vitamin B3, and Zinc. The former is excellent for reducing the appearance of skin blemishes and congestion, and a high 10% concentration of it, together with zinc salt, is able to balance the visible aspects of sebum activity too, which is something you’ll have to watch out for when you have oily skin. This serum is recommended to be used during both the morning and evening before heavier creams. Promising review: “Probably my favourite so far of all The Ordinary serums. It’s working great for my sensitive skin – my skin is less red, my pore size has reduced significantly and the oil in my skin have been far more noticeably balanced. My skin feels a lot smoother, hydrated and comfortable all over. Very happy with this little beauty!” – Zoey G.
Green Tea is an excellent ingredient to use to combat oily skin problems as it can help with decreasing sebum production, reduce inflammation and prevent inflammatory responses like acne from coming back. And this is why the best-selling Innisfree Green Tea Seed Serum is the perfect day and night serum for all skin types including oily skin! The consistency of this serum is also not too heavy, even for oily skin types. Besides this, it is also known for leaving your skin feeling refreshed and hydrated, not tacky and suffocating, making it the perfect serum for the hot and humid weather in Singapore. Promising review: “I have very oily skin with big pores. Received a sample of the 2018 edition serum and now I can compare it to the old one, which I constantly use. Texture is as silky and fragrance is the same – fresh, quite strong. It has the same good mattifying effect and doesn’t clog my pores. It also moisturises well. However, the new one takes around 10-20 sec longer to settle down, but still quickly and it’s a good result for me (I can’t use most serums and even toners in the morning because they take FOREVER to soak into my skin). Overall I like new edition as much as the old one. 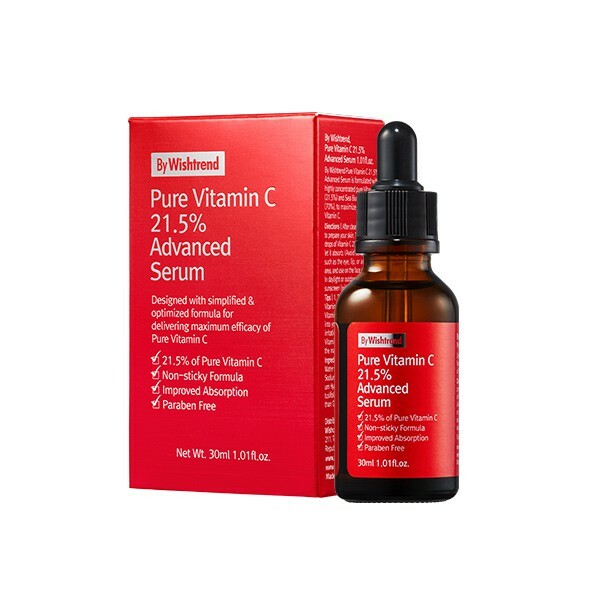 I can recommend it as a daily routine for people with oily skin.” – Kat L.
Get rid of hyperpigmentation, discolouration, dull skin and acne scars all in one step with the Pure Vitamin C21.5 Advanced Serum by Wishtrend. This serum, which contains pure vitamin C, is essentially a vitamin serum that is well-known for improving the overall skin tone and texture. Psst, this serum is recommended to be only used at night! Promising review: “This stuff is awesome! This serum has done wonders for my face. It helped balance my skin and reduce the oil production so my face isn’t slick with oil. Aside from this, it has also helped to clear my acne and balance my skin tone. Word of caution though, it burned when I used this serum for the first time. Fortunately, after that it didn’t really burn anymore.” – Veron L.
Soothe, purify and brighten your skin with the Vitamin Tree Water Gel from I’m From. This product is essential if you suffer from oily skin. Because of it’s gel-like cream consistency, the product gets absorbed into the skin quickly, reducing that oily-icky feeling. 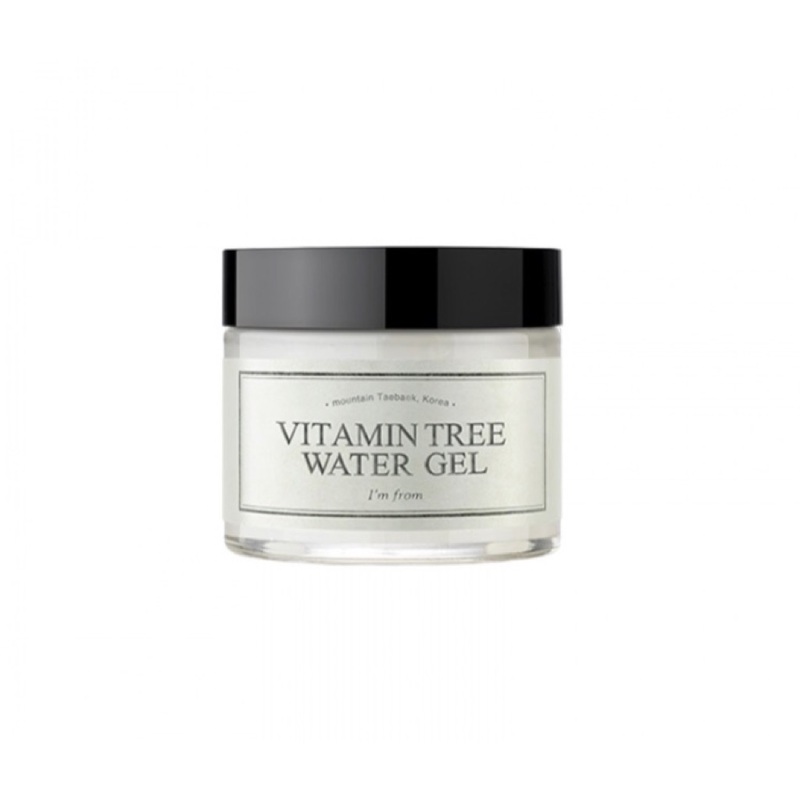 Coupled with a cooling sensation, which helps to reduce and calm the redness on the skin, this gel is your go-to product in hot and humid climates like Singapore’s. Psst, it also has a whitening function, making your skin brighter and clearer for a more radiant look. Promising review: “Does its job, leaving my face super smooth and moisturised when I wake up. 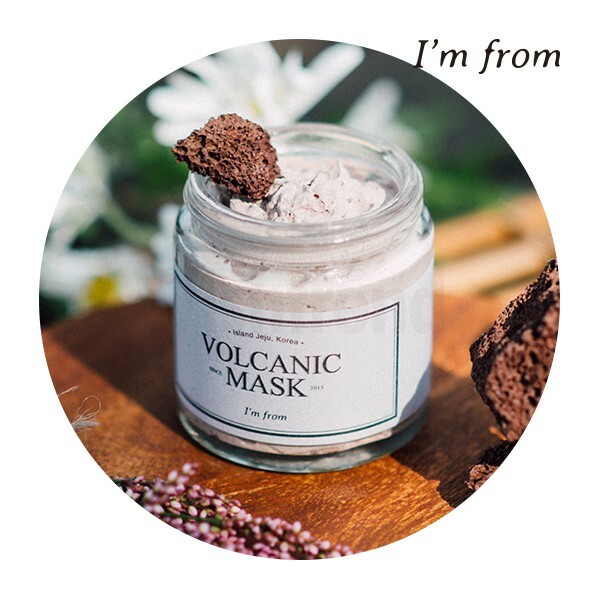 I can also see my acne scars reducing!” – Jaylene M.
Containing 8.6% pure volcanic rocks from Jeju Island, the Volcanic Mask from I’m From is a premium wash-off mask that purifies and clear your skin from within. The total pore care solution also absorbs sebum and remove waste. Besides this, it also contains a whooping 9 Whitening Complex (i.e. Daisy, Tulipa Madonna, Edelweiss, Lotus Flower, Freesia, Centella, Mulberry Root, Ginseng), giving you everything you’ll ever need in a mask. What’s interesting is that despite it being a volcanic mask, it does not leave your skin feeling dry and tight. It does however, tighten your pores and strip away excess oil, but also leave your skin feeling hydrated and soft! Promising review: “After my first use I noticed that I didn’t have as much oil on my face throughout the day! Not only that, but my skin felt amazing afterward and I generally felt refreshed. It was easy to apply as well! 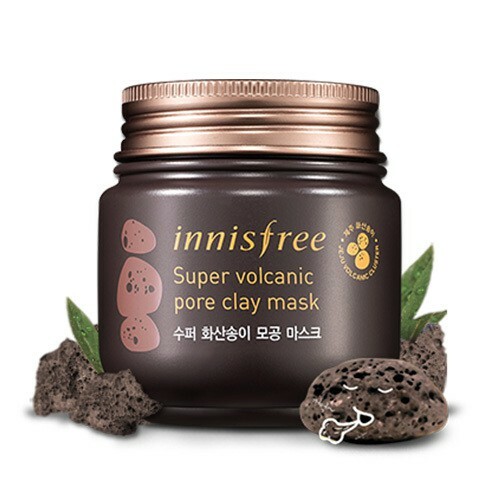 Highly recommended!” – Casse L.
Made from minerals released by volcanic explosions on Jeju Island, this mask is the solution to removing sebum, other impurities and dead skin cells. This famed clay mask chemically exfoliates and smoothes out the skin with AHA as one of the main ingredients. FYI, AHA is a gentle exfoliant for the skin, so don’t be too scared when you hear the words “chemical exfoliant”! Promising review: “Awesome stuff. I use this weekly, and every time I wash it off, my skin feels so smooth and ready for the next skincare product that I put on (toner, essence, moisturiser). I suggest to apply it with a brush for even application. Also, I don’t put it thickly, so it dries pretty fast. Packaging and price are great. I can get a lot of use out of this and most importantly it works, so definitely worth the money in my opinion.” – Amediah B. 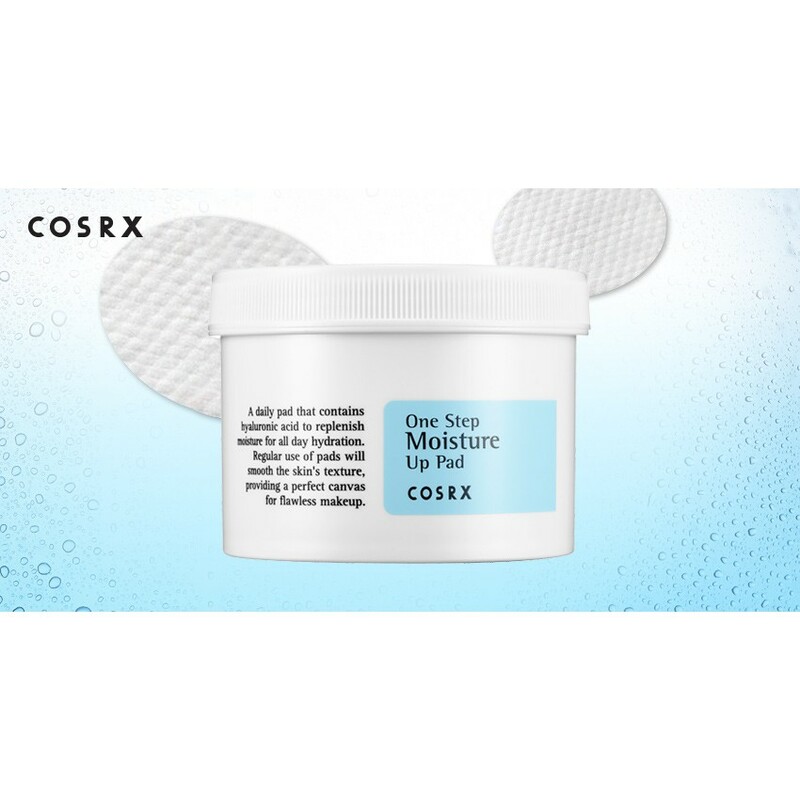 Conceal, don’t feel, don’t let them know that you have a pimple with the newest addition to the COSRX Pimple Patch line – The COSRX Acne Clear Fit Pimple Patch. When pasted on, it is almost invisible, letting you hide your irritating pimples and heal it at the same time. 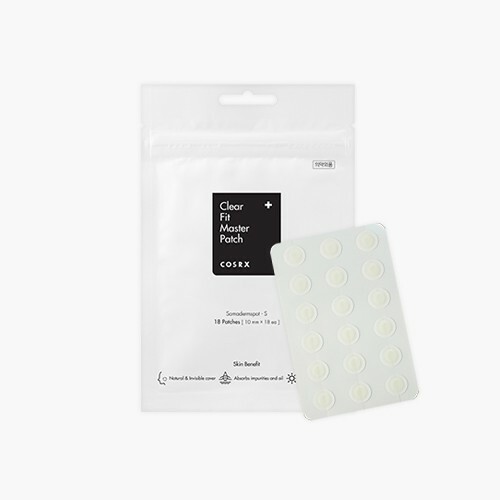 Psst, if you’re wearing planning on wearing the patch only at night, you can consider getting the COSRX Acne Pimple Master Patch instead. What’s your go-to product? Share with us your tricks and recommendations below! * TNC Applies. 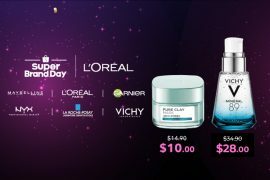 Valid for new users from 19 Apr to 5 May only.